I'm about a week late on this one. 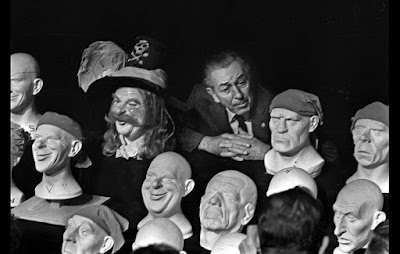 On March 18th, Disneyland's Pirates of the Caribbean ride turned fifty years old, which is a huge landmark for Disneyphiles and movie fans alike. A lot of people think that Pirates was one of the original attractions when Disneyland opened in 1955, but that isn't the case, In fact, Walt Disney himself didn't get to see park guests fall in love with his pirates; he died in December of 1966, about three months before the ride opened in 1967. There are a lot of theories about what exactly is happening during the ride itself. Because it starts somberly with a lonely skeleton, some theorize that the ride is a morality play that chronicles the last adventure of the dead pirate before he was blown to bits. Others think that the ride is an exercise in time travel, with the slow, dark beginning and ending intended to symbolize leaving our time and entering the forbidden past. The beauty of the ride is that it's open to interpretation and everyone seems to have their own opinions and ideas. 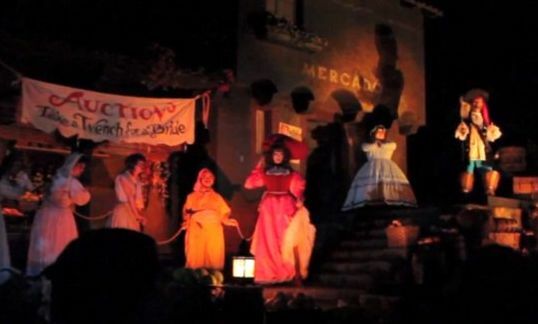 From New Orleans Square in Disneyland to Adventureland in The Magic Kingdom, millions upon millions of riders have experienced Pirates of the Caribbean, and most will agree that it's more than your average theme park ride. 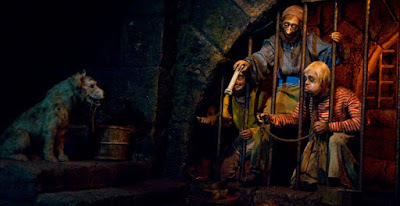 The storytelling within Pirates of the Caribbean is fantastic. 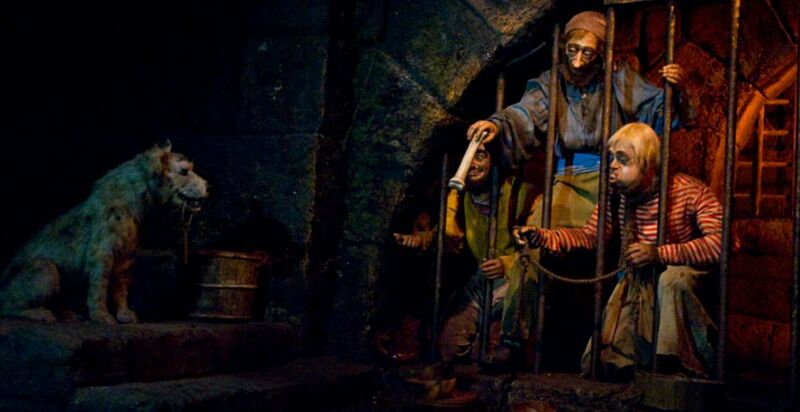 Even after the Johnny Depp movies became a hit and they added Jack Sparrow and Barbossa to the ride, it still retains the same sense of fun, adventure, and eeriness that has entertained half a century's worth of passengers. As with Disney's best attractions, it's the little things that add up to the whole. There is SO MUCH going on in the attraction, and it rewards repeat ride-throughs; you'll still find yourself noticing things on your 10th experience (or 50th) that you've never noticed before. One could also spend a good chunk of their time cataloging and studying the various changes and differences between the different parks over the years, and many have. Though it's been around for fifty years, it has changed often. The narrative (at least in The Magic Kingdom, which is my home park) starts in the ride queue as you peek into all the little nooks and crannies that have been filled with details and signs of life. I love the little visual gag of a chess game between two prisoners that ended in a stalemate a long, long time ago. I even love the queue music, and listen to it sometimes to take me to another place. It's also hard to believe that the song "A Pirate's Life For Me (Yo Ho)" didn't exist before this ride was created. It was written by George Bruns and Xavier ("X") Atencio, and the song seems like it's always been around. Pirates of the Caribbean has been a huge success. 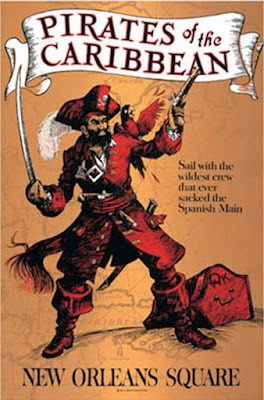 There have been five movies chronicling the adventures of Jack Sparrow, as well as numerous books and video games. The ride itself exists in some form at Disneyland, Walt Disney World's Magic Kingdom, Tokyo Disney, Disneyland Paris, and now a modernized version is a huge hit at Shanghai Disney. For fifty years, we've thrilled at mystery, adventure, and humor of the ride. For fifty years, we've watched those prisoners try to get that dog to bring them the key. For fifty years, we've wanted the redhead. For further exploration of Pirates of the Caribbean, I recommend the book Pirates of the Caribbean: From The Magic Kingdom to the Movies by Disney historian Jason Surrell. The book and all of its editions have gone out of print, but you can find it for a fair price from third-party sellers. Don't be fooled by the title, as the book goes into a deep history of the attraction and its conception and construction, as well as the differences of the ride throughout the different parks. I recommend the 2006 edition because it goes into detail about the animatronics and additions for the 2006 refurbishment that added Jack Sparrow and Barbossa to the attraction. Here's to fifty more years. Drink up, me hearties, yo ho!